International Journal of Philosophy is a peer reviewed journal published by CARI. Journal of Public Relations is a peer reviewed journal published by CARI. Journal of Actuarial Research is a peer reviewed journal published by CARI. Journal of Modern Hospitality is a peer reviewed journal published by CARI. Journal of Marketing Studies is a peer reviewed journal published by CARI. International Journal of Finance is a peer reviewed journal published by CARI. American Journal Of Strategic Studies is a peer reviewed journal published by CARI. Animal Health Journal is a peer reviewed journal published by CARI. Journal of Advanced Sociology is a peer reviewed journal published by CARI Journals. Journal of Gender Related Studies is a peer reviewed journal published by CARI Journals. Journal of Climate Policy is a peer reviewed journal published by CARI Journals. Journal of Modern Law and Policy is a peer reviewed journal published by CARI Journals. International Journal of Culture and Religious Studies is a peer reviewed journal published by CARI Journals. Journal of International Relations and Policy is a peer reviewed journal published by CARI Journals. Human Resourse and Leadership Journal is a peer reviewed journal published by CARI Journals. International Journal of Conflict Management is a peer reviewed journal published by CARI Journals. Journal of Advanced Psychology is a peer reviewed journal published by CARI Journals. Journal of Communication is a peer reviewed journal published by CARI Journals. International Journal of Modern Statistics is a peer reviewed journal published by CARI Journals. Natural Science Journal is a peer reviewed journal published by CARI Journals. Journal of Environment is a peer reviewed journal published by CARI Journals. Journal of Physical Sciences is a peer reviewed journal published by CARI Journals. International Journal of Health, Medicine and Nursing Practice is a peer reviewed journal published by CARI Journals. International Journal of Health Sciences is a peer reviewed journal published by CARI Journals. Journal of Technology and Systems is a peer reviewed journal published by CARI Journals. International Journal of Computing and Engineering is a peer reviewed journal published by CARI Journals. Journal of Online and Distance Learning is a peer reviewed journal published by CARI Journals. Journal of Historical Studies is a peer reviewed journal published by CARI Journals. Journal of Education and Practice is a peer reviewed journal published by CARI Journals. International Journal of Public and Administration is a peer reviewed journal published by CARI Journals. International Journal of Poverty, Investment and Development is a peer reviewed journal published by CARI Journals. 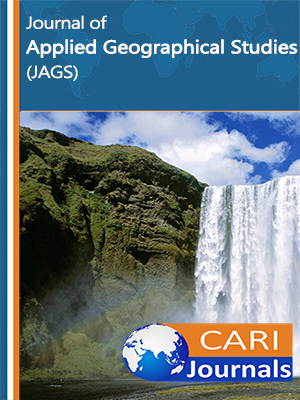 International Journal of Development Country Studies is a peer reviewed journal published by CARI Journals. International Journal of Supply Chain and Logistics is a peer reviewed journal published by CARI Journals. Journal of Accounting is a peer reviewed journal published by CARI Journals. 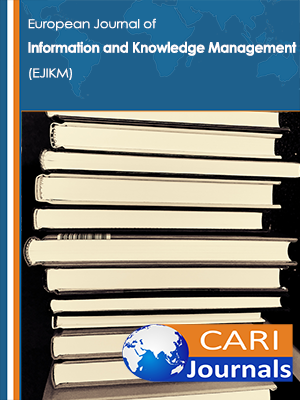 Journal of Entrepreneurship and Project Management is a peer reviewed journal published by CARI Journals. International Journal of Economic Policy is a peer reviewed journal published by CARI Journals. Journal of Business and Strategic Management is a peer reviewed journal published by CARI Journals. Journal of Food Sciences is a peer reviewed journal published by CARI Journals. International Journal of Biological Studies is a peer reviewed journal published by CARI Journals. Journal of Agricultural Policy is a peer reviewed journal published by CARI Journals.